Within days, Sir Peter made a very rare apology for his statement. He said he had made a mistake! But still waited till after a flash demo from the trade, before finally giving in and appointing a new rank opposite the shard. (7) Where a person holds a licence which is in force when he applies for a new licence in substitution for it, the existing licence shall continue in force until the application for the new licence, or any appeal under this section in relation to that application, is disposed of, but without prejudice to the exercise in the meantime of any power of the licensing authority to revoke the existing licence. I advised Sir Peter that in Taxi Leaks legal team's opinion, there is no need for TfL to issue temporary licences and the driver should be able to carry on working, as their old licence will remain in force until they either receive a newly issued licence, or receive word that their application has been turned down. Hundreds of drivers have lost many days-weeks-months income, after being told by TfL they can't work. I asked Sir Peter in light of the fact that so many drivers were being put out if work while waiting, to make an immediate statement informing these drivers that under the act of 1985, they can in fact carry on working regardless. It seems that Sir Peter interpretation of immediate, actually meant 5 months later. Drivers can now carry on working on an expired licence -as long as they have applied in time and in the correct manner for a renewal- until the new licence arrives. Below is the letter Taxi Leaks received from TfL. 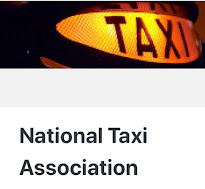 I refer to your email to Sir Peter Hendy regarding the provisions of section 17(7) of the Transport Act 1985 in relation to taxi drivers renewing their licences. Please accept my apologies for the delay in providing a reply. As far as is possible we will issue a driver his or her new licence in advance of their old licence expiring. However, this is dependent on the driver submitting a complete and timely application, which includes the result of the DBS check and any other information that is required, as we cannot make a licensing decision until this information is received. It is therefore imperative that drivers start the application process in good time to allow for all necessary checks to be completed before their licence expires. Where we are provided with a complete application, including the results of the DBS check and any other necessary information, but have not yet made a licensing decision before the old one expires, the existing licence will remain in force until a decision is made in accordance with section 17(7). In these circumstances, a driver will not be issued with, nor require, a temporary licence pending a decision being made on their application. Please note that contrary to the comment in your email, section 17 of the Transport Act 1985 only applies to London taxi driver and vehicle licences, not London private hire vehicle driver licences. They Say No Trace Of CabWave And Believe Article To Be Hoax. Thanks for your email. 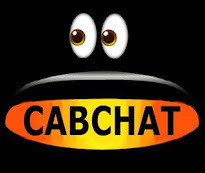 I can confirm TfL are investigating Cabwave, and the proposition described on the Cab4Now blogsite. We can find no trace of Cabwave, and no evidence that they are operational, or that there is a beta technology trial proposed or underway in London. It may be a hoax. If you have any information on Cabwave which can verify their existence, it would greatly assist us with our investigations. We are already pursuing lines of enquiry through cabs4now. Breaking News...Possible Merger Of RTG and Dial A Cab. 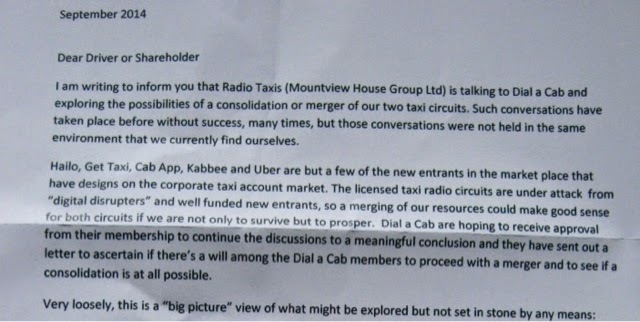 News has emerged today of a possible partnership between Radio Taxi Group (Mountview) and Dial A Cab. Both circuit chairman have written to members asking for opinions on a possible tie-up. 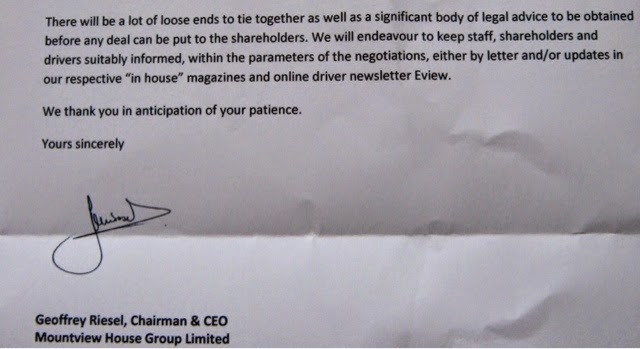 This letter has been received by RTG drivers and shareholders this morning. 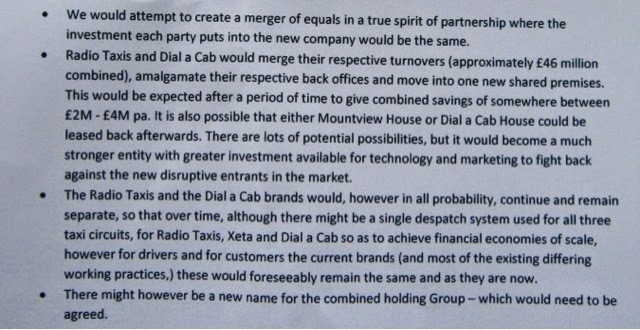 Also Dial a Cab's chairman Brian Rice has written to drivers asking for them to vote on the possibility of the merger. 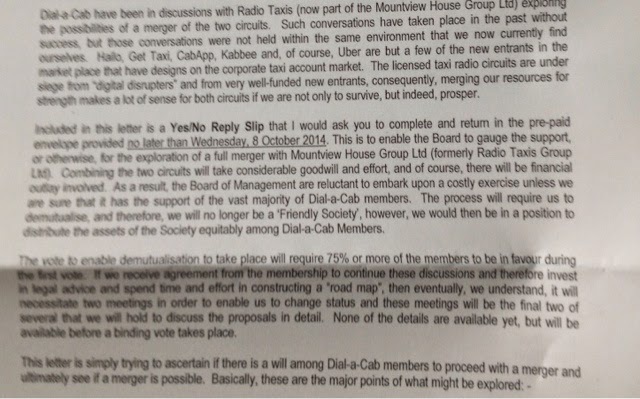 Included in the Dial a Cab letter is a Yes/No slip. Drivers have been asked to complete and return in the pre paid envelope no later than the 8th October. Transport for London (TfL) and Heathrow Ltd (HAL) have confirmed that the charge made to drivers entering the Taxi feeder park charge will remain in place. It has also been confirmed that drivers (at present) can still apply the passenger surcharge to the fare. Saving made by HAL of around £1/4m will be passed on to the trade and the current cost of entering the feeder park of £5:22, is likely to be reduced to £3:38 on January 1st 2015. We have been informed that TfL will be issuing a press release later. What Planet Are a These People On...by Transport Correspondent, Glen Alutto. 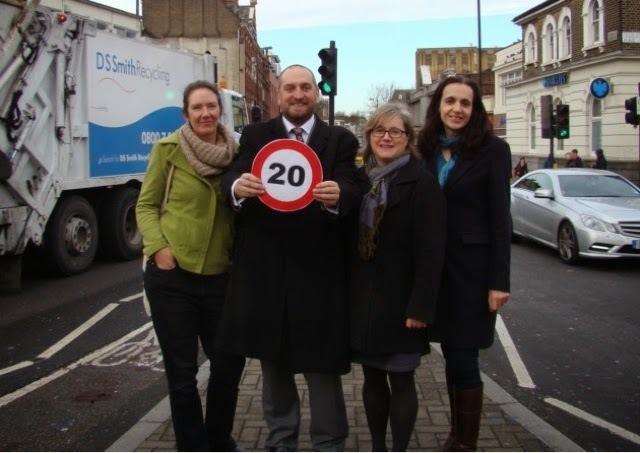 Green campaigners have renewed calls for a 20mph speed limit on Holloway Road. The reason people use the Holloway Road is because they've been forced to, aside from the fact it's the A1, EVERY side road in the borough has got speed humps on. Seriously, what planet are these people living on? Why are these people not pressuring the Mayor to subsidise the conversion of of London's Taxis Diesel engines to LPG like what's already happened in Birmingham? Are these green campaigners all froth and no coffee? There's not a car on the road designed to be driven at 20mph! The only people who stick to rest of the borough's 20mph speed limit are pedestrians. Uber Driver following his Sat-Nav. 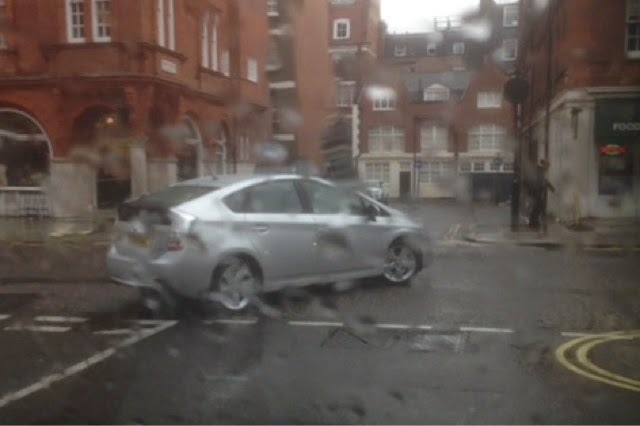 Illegal right turn out of Brown Hart Gardens into Duke Street W1, into oncoming traffic. The Biggest Threat To The Taxi Trade...EVER...by Jim Thomas. There have been unsubstantiated reports on a PH website that minicab drivers have been trialling a system designed to get around the touting laws. If this is allowed to succeed, the offence of Taxi touting will finally be consigned to the history books in London. But at the biggest cost to the livelihood of every Taxi driver this trade has ever seen. 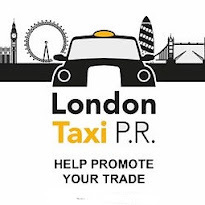 People will look for a logo which will be as recognisable as a for hire sign, believing it to be a safe alternative to a London taxi. Touts say they prowl the streets of London because of unmet demand. That demand will disappear when all licensed private hire vehicles are..."able to flout existing laws & ply for hire". The system is called CabWave and try's to legitimise itself by constant use of the word cab and compares itself to licensed Taxis trade. It's so far unknown if CabWave is registered or in fact it needs registering, as it can be argued it is not an operator but a third party booking agent (much like MiniCabit) which only puts passengers in touch with operators. The system is depended on a touch pad, attached to the back of a roundel, underneath the TfL licence roundel on the minicab windscreen. Potential customers use this to connect to an operator via details on their credit or debit cards. The website states this will constitute a pre booking. Under the terms of the agreement private hire drivers have to remain within their vehicle at all times and are allowed to park legally in full site of the public but are not allowed to promote the service to passers by as under existing legislation this may be classed as illegally plying for hire. If the trial is successful registration will rolled out a cross the capital and be made available to all private hire drivers and operators. The CabWave system lets the public book a minicab manually, without the need of a phone or app. It is an instant hail. They simply wave their credit or debit card in front of a roundel located below the TfL licence and they’re on their way. Card details are acquired by the reader and an account is automatically created with a private hire operator registered with CabWave. The booking is despatched same second, to the driver by the PH operator. The driver can then allow the passenger to enter the minicab. The account registration procedure is completed by the driver entering a contact number and name for the passenger before departure. If the passenger books another journey with the same operator, then this step will not need to be completed again. Taxi Leaks has written to TfL to find out exactly where they stand on this. We will post any reply we receive, as soon as we get it. Our legal advisors have said that this is a blatant disregard of the law and would constitute a street hail. Not only a street hail but also a potential honey trap for sexual predators looking for potential victims. Picture the scene, man/group of men/ mixed couple, "sorry something wrong with reader". "that's gone through love, jump in". Case law shows it's illegal for a PHV to be on view to the public for the sole purpose of taking work that should be going in a licensed taxi. This CabWave practise needs to be stopped immediately. Even the name has been designed to give the impression that this is a bona-fide Taxi service. 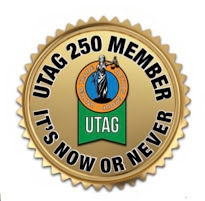 If it's left to fester, the same way nothing was ever done about the rolling out of satellite offices, this could be the greatest danger ever, to the survival of the licensed taxi industry as we know it. It is imperative now, more than ever before, that the trade stands together and demands that plying for hire is defined in law. We don't have to like each other, or forgive and forget to fight side by side. But now is the time to bury the hatchet and call for total unity. The law commission has said it has no intention of defining plying for hire, but are proposing a completely new approach to pre bookings instead. The LTDA's general secretary Steve McNamara has stated previously that the LTDA doesn't see the same dangers in the Law Commission proposals that other representative orgs see. Perhaps now the membership of the LTDA might like to ask their Executive Committee to reconsider it's views on the Law Commission. With thanks to Glen Alutto. It seems that the proposed relocation to Faith Lawson House by LTPH has been postponed as the new premises are not ready for the big move...now there's a surprise. TfL Give Our Work To PH... So, Let's Take There's .... By Jim Thomas. For far too long the Taxi trade has had to sit back and watch our work being stolen by a succession of different TfL initiatives. After suggestions made in the STaN report, we saw the introduction of the late night PH satellite office, fully licensed by LTPH. 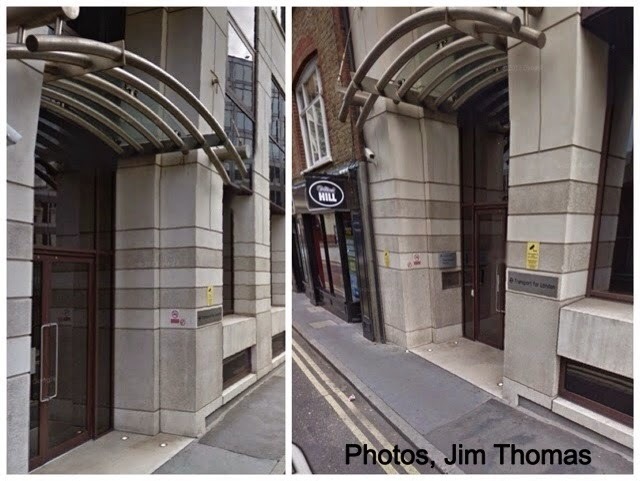 These ranged from Hotel lobbies, club and restaurant foyers, supermarkets, 24-hour tobacconists and progressed to roped off areas outside premises and eventually, any old alleyway and in one case, a disused phone box. The sale of licence variations is a profitable market, which TfL prop up, by reduced enforcement and compliance. With the need for planning permission removed, cab enforcement officers were seconded to tube and bus ticket fraud duties. After the introduction of the satellite office licences, chief Inspector Joe Royal resigned from Cab Enforcement saying the new TfL initiatives were total unenforceable. TfL have continued to feed the ever increasing satellite office culture with trade. Work that should have been going in Taxis has been allowed to be stolen by clipboard men and put into cars as licensed Taxi ranks were removed wholesale. Sixty years ago, there was 1 rank space to every licensed Taxi, but now we've reached a stage where there is only 1 rank space per 66 Taxis. TfL's commissioner, Sir Peter Hendy is a bus man through and through. Under his watch, he has put more buses on the road than at any other time in London's transport history. Over the last few years, TfL have been removing rank spaces outside tube stations in the suburbs. Licence variations have been sold to operators who are opening offices either inside the station forecourt or very close to the station exits. Suburban driver licences have been totally over sold, flooding some sectors with an abundance of local Taxis, with no where near enough rank spaces to operate from. This has caused some drivers to work out of sector. Passengers on the 24hr tube will be in the same sorry state as late night bus riders. Everyone knows just how bad going home on a night bus can be. To add insult, LUL will be removing most of the station staff, leaving the late night tube a very dangerous place to be. then we must fight dirtier. then we must go after there's. Maaxi cab has been designed to go after Bus and Tube passengers who wouldn't normally consider using a Taxi. The app offers shared rides, with passengers sharing the cost, offering Taxis to a market thought to be outside of our reach. If you are interested but have questions, please come along to the question and answer meet up at Millwall football ground on a Monday 29th September at 7 pm. Every driver who has been involved in the recent Flash Mob drive ins, will know how great it feels to actually fight and take back work. Fight back now, take Hendy's work, the way he has taken yours. Cabbies Against Boris Press Release; Boris Johnsons Air Pollution Lies; More Taxi Protests To Come...by Dave Davies. Boris Johnson was sacked by the Times for his lies; he fabricated a story because he didn’t have any facts on which to base it. He was then sacked as a Tory Cabinet Minister by the then Conservative Party Leader for yet more lies. What this tells us that he has continually lied throughout his entire career for more than 20 years, about anything to anyone, regardless of importance of the subject or the person he is lying to. We should not be surprised that he continually lies, but what is shocking is that his dishonesty about the London Taxi Age Limit and his Air Quality strategies is resulting in the deaths of thousands of people. Boris Johnson recently tried to mislead the Parliamentary Environmental Audit Committee. He provided them with reports showing a 20% reduction in pollution as evidence that his policies have been a success. In fact the reports he submitted to the MPs were several years old and were estimates of reductions using modelled predictions. The actual reports based on air quality measurements showed little or no improvements because the air quality strategies were not based on evidence and have not worked. The Mayor recently wrote to the Environmental Audit Committee claiming he had reduced pollution in London by scrapping 3000 London Taxis. This contradicted his own report that he had previously submitted to the Committee in 2010 which acknowledged testing had been carried out and that ‘ a new Euro 5 vehicle will create 5 times as much NO2 as a 15 year old vehicle’. The Mayor ignored his own evidence and implemented the London Taxi Age Limit needlessly scrapping 15 year old taxis. A subsequent Defra Report in 2013 following testing of 10,000 London Taxis by the Environmental Research Group at Kings confirmed again that the new taxis drivers were forced to buy at great expense are creating MORE pollution than the 15 year old taxis which were scrapped. In addition Boris Johnson has claimed that he has scrapped 3000 taxis yet TFL’s own figures show that the number of taxis that will have been scrapped by the end of the year (3 months away) is actually more than 6000, twice the number the Mayor has admitted to. Yet another Boris lie. The London Taxi Age Limit was initiated by Tory MP Tim Yeo, who at the time was Chair of the Environmental Audit Committee and who declared a vested interest because he was also Chair of Eco City Vehicles, the company selling the new taxis, drivers were forced to buy. Yeo said that this may be relevant to the problem of pollution in London and seemed to think that by declaring an interest he was complying with the Parliamentary Rules. The rules clearly state that if the Chair of a Committee has a vested interest they should step aside for that Inquiry, presumably so as to not improperly influence it. Yeo ignored this and was instrumental in the initiation of the Taxi Age Limit from which he directly benefited financially. Tim Yeo was subsequently exposed in an undercover sting by the Sunday Times in which he said ‘pay me £7k a day and I can influence the policy at a local and national level’ and ‘ I have contacts with all the key players in Government’. This is exactly what he had done with the Taxi Age Limit. Complaints to the Parliamentary Standards Commissioner have been ignored. 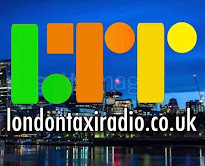 During the recent Cabbie Against Boris protest Steve McNamara of the LTDA said that Boris had not acted in bad faith in relation to the taxi age limit and that it was now history anyway. Steve McNamara was categorically wrong on both points. Boris Johnson knew that the new taxis created MORE pollution than the 15 year old taxis he was scrapping so he was acting in bad faith and according to the TFL figures there are about 2000 taxis a year being scrapped (about 40 every week) so if is not history. 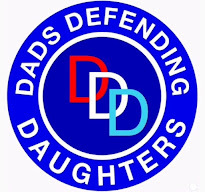 Why are the LTDA taking no action on the Taxi Age Limit? What exactly are they doing with the £180k a month that they receive? There is also widespread concern that Bob Oddy, the LTDA executive committee member, is allegedly paid £30k+ a year by TFL, the organisation that he should be challenging on issues like the Taxi Age Limit on behalf of his members. The Mayor and TFL have made many improper decisions in relation to the London Taxi Trade but they are ‘bang to rights’ over the Taxi Age Limit. This is the one issue that can be absolutely proven and when it is exposed fully, the Mayor and TFL will be held to account on all issues. In 2012 Cabbies Against Boris called for a Public Inquiry into the failed Air Quality strategies which included the Taxi Age Limit. The Mayor was challenged by Cabbies Against Boris during the live Sky News and ITV Mayoral debates. The London Cab Drivers Club, The United Cabbies Group and the RMT London Taxi Branch supported the recent Cabbies Against Boris Protest and it is hoped that support will continue. The CAB protests have a clear purpose and a clear objective. The purpose is to expose the improper and unlawful London Taxi Age Limit and the objective is for a Public Inquiry. If there was a train crash and 80 people were killed there would be an immediate Public Inquiry to establish what has gone wrong and to make sure it never happened again. In London 80 people die each and every week from pollution yet no action is taken. The Government banned smoking in Public places because it was harmful to people’s health yet no action has been taken about the even more harmful toxic air that Londoners are breathing on a daily basis. People used to say ‘I’m going outside for some fresh air’ but if you do that in London you are breathing air that is toxic. In fact if the air in peoples places of work in London was as bad as the air outside they would be shut down by the Health and Safety Executive and Unions. People can not see or smell the toxic pollution; its the invisible killer, unlike in the past when the air was thick with smog which resulted in the Clean Air Act in the 1950s, the pollution is made up of ultra fine particles and gases like NO2. Simple ideas like cleaner fuel which could significantly reduce pollution are being ignored. Taxi Drivers are the worst affected by the toxic pollution as shown by recent testing so I’m sure that the 100,000 people who recently marched in London about Climate Change and all those who supported it will also be fully supportive of the further London Taxi Protests against the London Taxi Age Limit which is actually making pollution worse. When he was elected in 2010 David Cameron said that his government would be ‘the cleanest greenest government and that he would stamp out cronyism’. It is ironic that his close buddy Boris has failed miserably on both. He has implemented an improper and unlawful Taxi Age Limit in London which has not reduced pollution but provided financial gain for his Tory buddy Tim Yeo. Perhaps the ongoing London Taxi Protests will remind David Cameron of his pledge while he is at the Tory conference this week and he could ask Boris why he has acted in this way. TfL have announced they are to hold a public consultation for the mandatory use of credit and debit cards for Taxi journey payments. Londoners will be asked for their views on wether all Taxi drivers should be forced to accept card payments. Many drivers already accept cards, but there are those who choose only to accept cash. 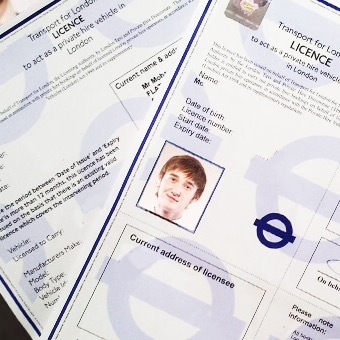 In July, TfL unveiled proposals to make card acceptance mandatory. This is a measure they say will benefits both passengers and drivers (in their opinion, that is). But, under TfL’s plans, the payment surcharge currently reclaimable from the passenger, would be axed. In TfL's magical mystery world, they insist the average cost of any card transaction would be included in the metered fare. This would see passengers paying the same amount regardless of which method of payment they choose. To achieve this the metered fare would have to rise by approximately 6%. Unfortunately, back in the real world, drivers have been told to expect a fare rise of, about 1%. Within the next few years, Taxi drivers will be expected to invest huge sums of money in new technology to repair the damage Mayor Boris Johnson has done to the air quality in Central London. This new initiative from TfL equates to no more than a pay cut. The board of TfL have approved a request to hold a public consultation. 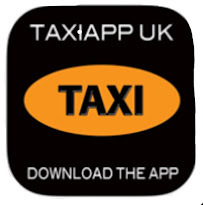 After an in house poll, it's been suggested that 90% of Taxi users would support the proposal. Again Taxi drivers opinions have not been sort. So to recap, we as individual small businesses, are not being asked, but forced to give people free credit and absorb the processing costs out of our end. A spokesperson for TfL said the consultation would likely take place next year. The largest representative group from the Taxi trade, the LTDA, have said in a statement on their Twitter account, they are totally opposed to drivers being forced to take card payments. Obviously the scrappage of payment surcharges doesn't affect Private Hire, who will just whack it on the back of their fixed fares regardless of card of cash. FRANKFURT (Reuters) - Courts in Berlin and Hamburg upheld bans on online transportation service Uber on Friday, saying the company did not comply with German laws on the carriage of passengers. U.S. start-up Uber had appealed against the bans in Germany, the latest front in its global battle to win regulatory approval in the face of stiff opposition from taxi services under threat from Uber's business model. Uber said it had not yet decided whether to appeal against Friday's rulings by administrative courts in Berlin and Hamburg, which said Uber's drivers lacked the commercial licenses to charge passengers for rides. "Uber is reviewing the court documents in detail before commenting on today's decision but will continue to comply with German law," said a spokesman for Uber, which was recently valued at $18 billion. He declined to say whether Uber would continue to operate services in the two cities pending any appeal. Uber has been shadowed by skirmishes with taxi operators and local authorities in many cities where it operates, starting in its home base of San Francisco. It is active in 43 countries and has pulled out of only one city: Vancouver, Canada. The Berlin and Hamburg rulings go against a previous reprieve given to Uber by a Frankfurt court, which ruled last week there were no grounds for a temporary injunction against its services. The disparate decisions underline ambivalence in Germany about how to deal with challenges from U.S. technology firms ranging from Google to Amazon to Uber. The German Economy Ministry said last week the country needed to make room for new, digital business models alongside existing businesses, and called for a hard look at laws governing transport and competition. The Berlin court said on Friday there was no way of telling whether private drivers using the UberPop mobile phone app, which connects them to potential passengers, were fit to take on the special responsibility of carrying passengers. It said the Uber Black service, which allows users to summon limousines using an app, did not meet the legal requirement for taxis to return to their service center and so fell between regulations for taxi and rental car services. "The ban serves to protect the existence of taxi services, their ability to function, in which there is an important public interest," it said in a statement. The Hamburg court rejected Uber's arguments that the ban violated Uber's professional freedom or European freedom to offer services.